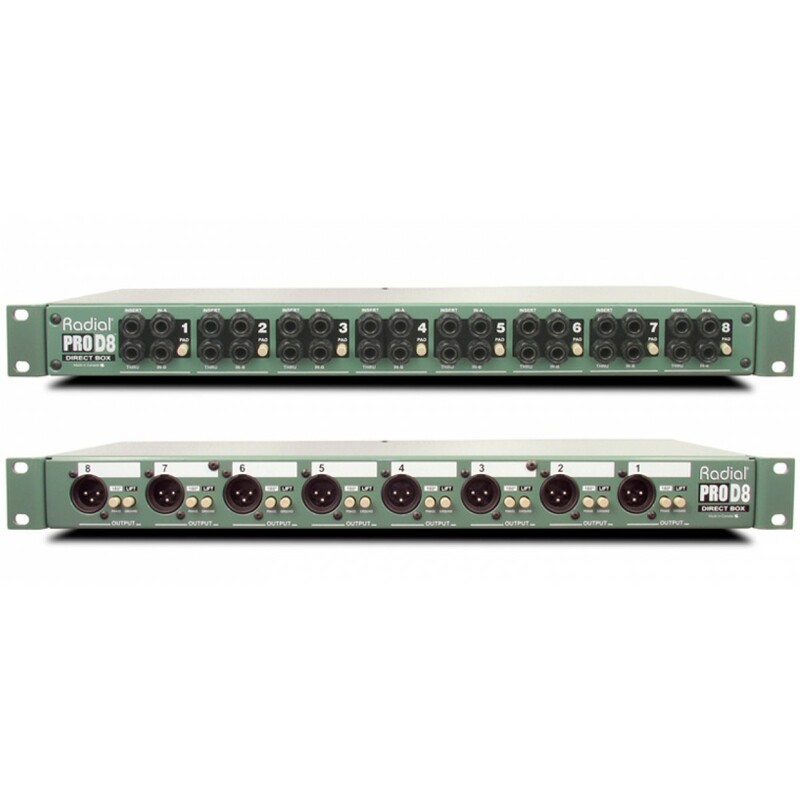 The Pro D8 is a rackmount 8-channel 19" direct box that is specifically designed to interface keyboards and pre-recorded backing tracks to the PA system with redundant inputs for live performance back-up. 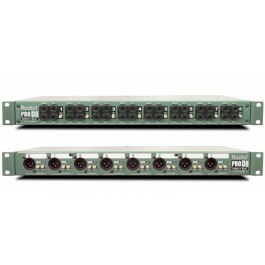 The Pro D8 is a rackmount 8-channel 19" direct box that is specifically designed to interface keyboards and pre-recorded backing tracks to the PA system with redundant inputs for live performance back-up. 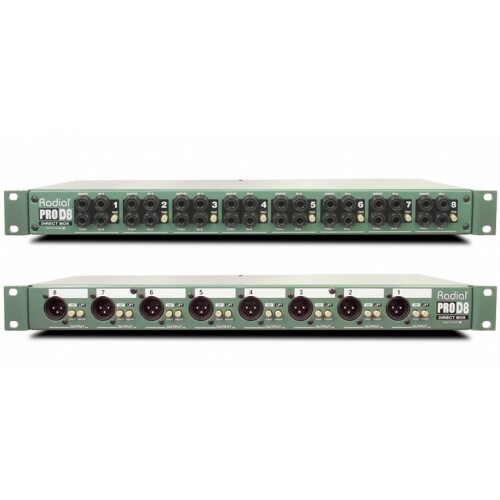 The ProD8's input panel features two A-B inputs per channel for a main and a back-up source to be connected. It also features a throughput for personal monitoring as well as an effects loop that allows both sources to share the same effects for each channel. 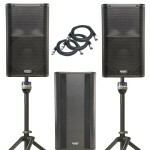 The output panel features a XLR connector, -15dB input pad selector and ground lift switch. A polarity reverse switch is internally mounted and factory set with pin 2 hot. The Pro D8 is a completely passive design and features eight custom wound Radial transformers that are linear from 20Hz to 18kHz. This design is able to withstand extremely dynamic levels from sources such as digital samplers, drum machines and keyboards without issue. To reduce noise and interference from outside magnetic fields, the transformers are equipped with a mu-metal-nickel outer shield which reduces phase distortion significantly. For added flexibility, the Radial ProD8 features a reversible set of rack ars that allows the panel or the XLR panel to be face front, depending on the users preference.